Since having left the elementary classroom I found I do love teaching, especially writing (the reading is what I still do at the college level). It worked out perfect that Paul’s second grade teacher needed parents to help in the classroom, when I learned he teaches using writer’s workshop, I quickly signed up. The schedule started last week, every Wednesday of the school year I am welcome in the room. Oh it feels like coming home. It is almost the same feeling I get when I drive into the fog and see SF for the first time in months. Nothing compares. 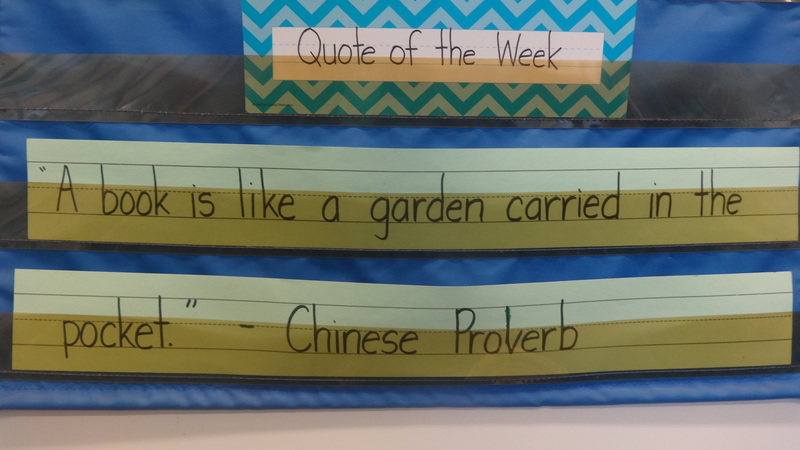 He has a weekly quote that the students discuss and analyze. Powerful. Inspiring. At back to school night he explained how it works well for parents and students. The first part is the relax, don’t stress part of growing. 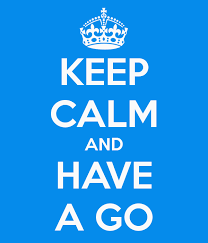 The “have a go” is the putting in effort and trying your best. I love it! Expect more photos as the year progresses. I love being back in the classroom. Just for teaching, not conferences, paperwork, grading, just good old fashioned teaching.